The Kalashnikov Group has signed an exclusive contract with the Russian Weapon Company (RWC) to supply up to 200,000 guns to North America annually. It should boost sales in the world’s biggest civil weapons markets, while sales in Russia are shrinking. 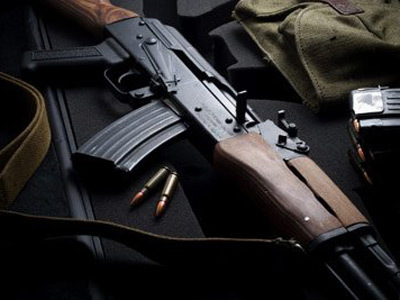 According to the five-year agreement, the RWC Group which was appointed Kalashnikov’s exclusive US importer back in 2012, will be selling between 80,000 and 200,000 Russian hunting carbines, sporting rifles and shotguns under the Izhmash and Baikal brands, according to Kalashnikov's Elena Filatova. “The exclusive deal with RWC will ensure Kalashnikov has consistent sales of sports and hunting weapons in North America. From this cooperation, we expect an increase our share of the civil weapons market”, commented Deputy Director General for sales and marketing of the Kalashnikov Group Pavel Kolegov. Russia’s largest producer of firearms, the Kalashnikov Group of companies unites the largest Russian producers of small arms Izhmash and Izhevsk. More companies are set to join the concern in the future. Currently Kalashnikov Group sells guns to 27 countries, including the US, Great Britain, Germany, Canada, Italy, Norway, Kazakhstan and Thailand. 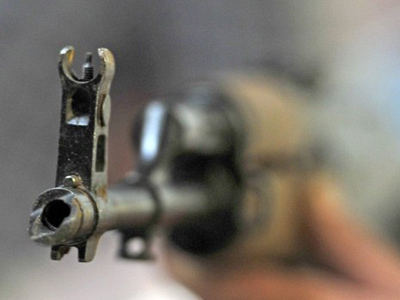 Kalashnikov bosses suspect American arms producers aren't looking forward to having another foreign rival, and may have used some underhand tactics to try and scupper the deal. Kalashnikov Group Director General Konstantine Busygin was not granted an American visa to visit the 2014 SHOT show in Las Vegas. The contract with RWC was signed by his deputy Pavel Kolegov, who headed Kalashnikov Group delegation to the Western hemisphere’s largest firearms trade event. The 36th SHOT Show-2014 exhibition is a trade show which attracts 40,000 visitors. 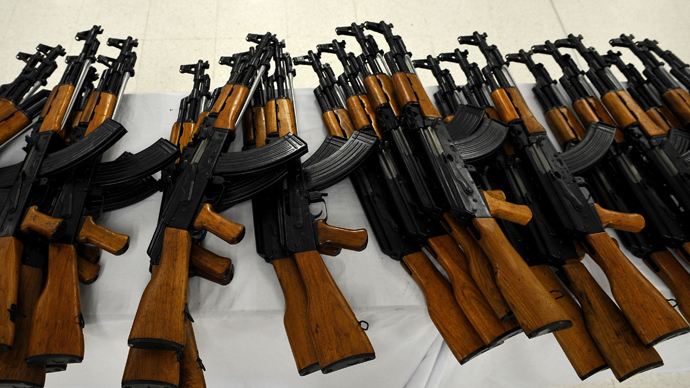 The Kalashnikov Group presented over 30 new models of firearms, and was one of 1,800 plus companies taking part. After the collapse of the Soviet Union, Russian gun makers directed their attention abroad in order to replace sales from reduced government contracts. Izhmash’s Saiga rifles and shotguns, based on the reliable Kalashnikov design, became a real hit in the US, gaining huge popularity among gun enthusiasts. American gun makers lobbied to limit sales of Russian arms in the US, and an agreement was signed by then-Prime Minister Viktor Chernomyrdin in 1996. 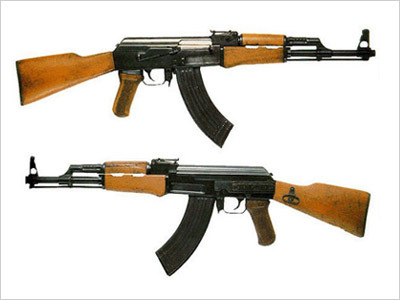 Despite the limitations, Kalashnikov products became popular and sales have exceeding a million firearms. Cheap, reliable and accurate, Russian shotguns have become a serious rival to similar guns available on the US arms market. 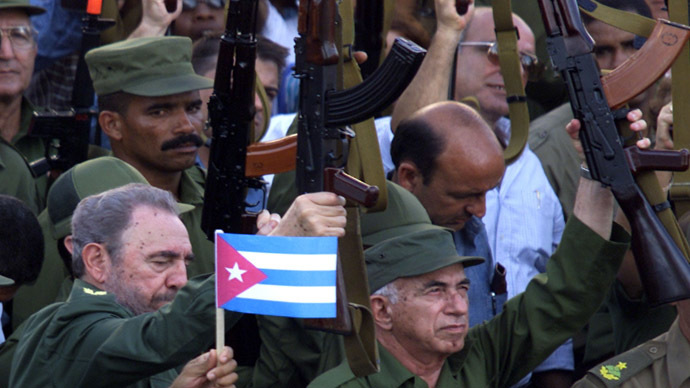 The US remains the world’s largest consumer of civilian arms, which is why most of the civilian guns produced by the Kalashnikov Group are sold in America. 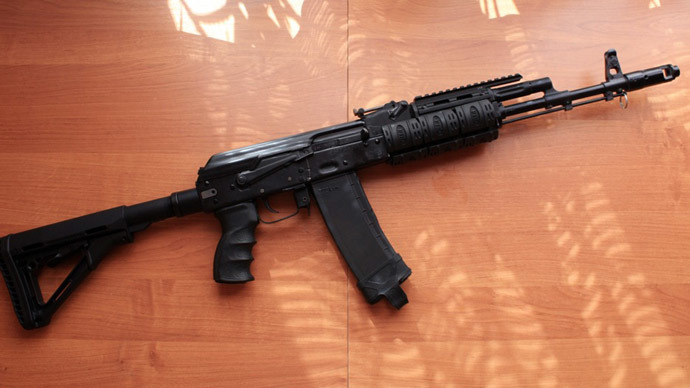 Some police forces in America are using Russian shotguns, and some police forces in Europe could purchase the Saiga or Vepr-12 magazine shotguns, both use the classic and time-proven Kalashnikov design. The legendary creator of the AK-47 assault rifle Mikhail Kalashnikov has not lived to see the concern named after him break into the lucrative North American market as he recently died at the age of 94.